Disposable cylinder 30lb/13.6kg, 50lb/22.7kg; Recyclable cylinder 400L, 800L, 926L, 1000L; ISO-Tank. Chlorodifluoromethane or difluoromonochloromethane is a hydrochlorofluorocarbon (HCFC). 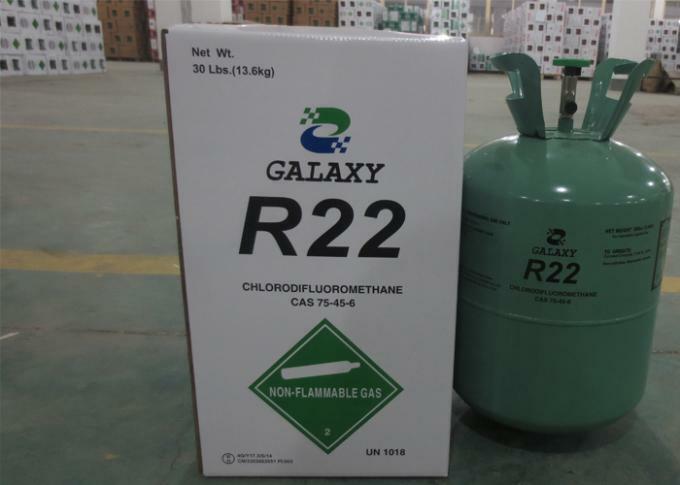 This colorless gas is better known as HCFC-22, or R-22. 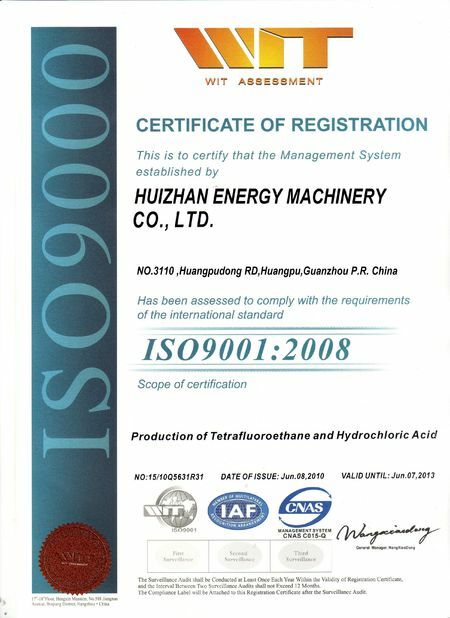 It is commonly used as a propellant and refrigerant. These applications are being phased out in developed countries due to the compound's ozone depletion potential (ODP) and high global warming potential (GWP), although global use of R-22 continues to increase because of high demand in developing countries. 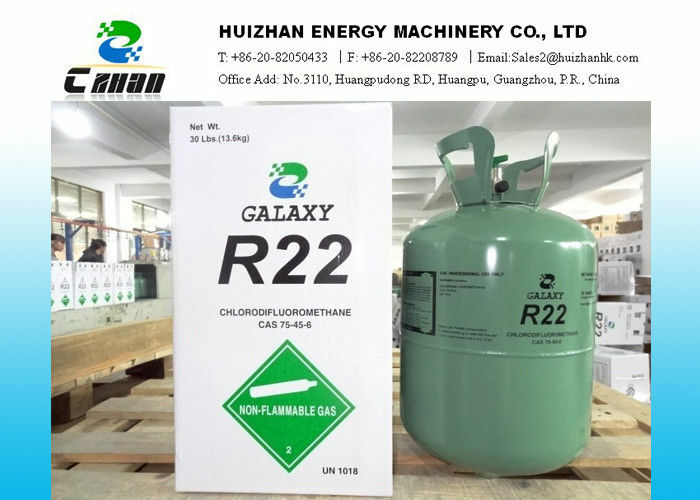 R-22 is a versatile intermediate in industrial organofluorine chemistry, e.g. as a precursor to tetrafluoroethylene. R-22 cylinders are colored light green. 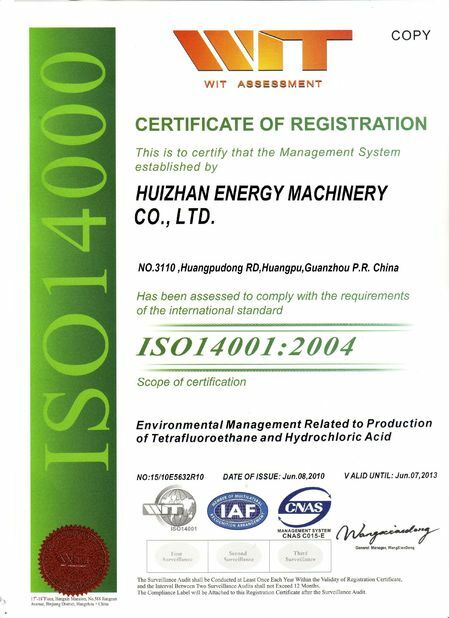 Recyclable cylinder 400L, 800L, 926L, 1000L: ISO-Tank. R-22 is often used as an alternative to the highly ozone-depleting CFC-11 and CFC-12, because of its relatively low ozone depletion potential of 0.055, among the lowest for chlorine-containing haloalkanes. Low cost, high performance and versatile refrigerant gas. Worldwide production of R-22 with most production in developing countries. R-22 use is increasing in developing countries, largely for air conditioning applications. Air conditioning sales are growing 20% annually in India and China.